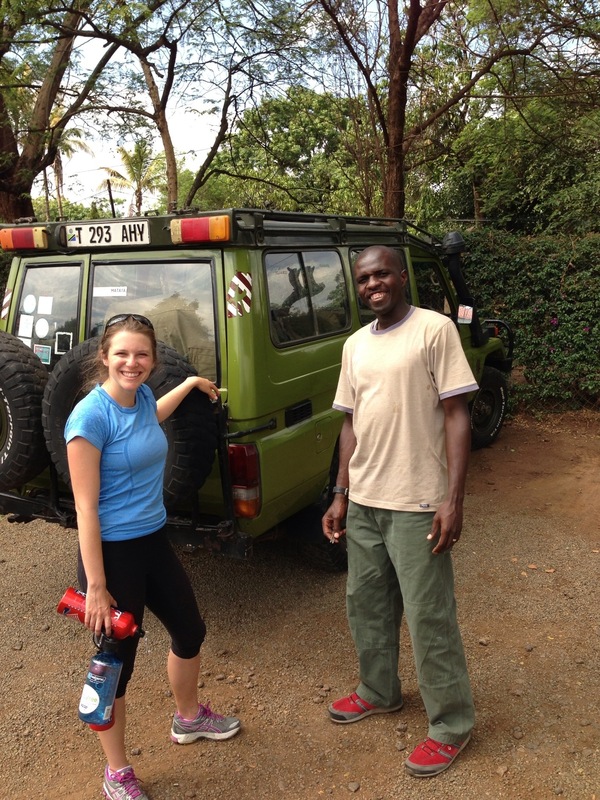 On February 4th we made our way from gorilla territory in Rwanda to Kili territory in Tanzania. We landed in the not-so-large Kilimanjaro airport and strategically sprinted ahead of our fellow Rwanda Air passengers to be the first through Customs. We were first off the plane, first to fill out our immigration forms, then first in line for passport control. The Immigration Officer kindly pointed us to the visa counter since all foreigners need to purchase a $100 visa in order to enter Tanzania. No problem! Except one: we had exactly $7 in cash, they didn’t take credit cards, and the only ATM in the airport was located outside Customs and was out service. I can see my dad, who always reminds me to travel with cash, cringing as he reads this. We were in a major pickle. All the other passengers were halfway up Kilimanjaro and we were stuck in Customs. Fortunately, Dan was able to reach Simon, who runs SENE (the company we climbed with — more to come on Simon and SENE). Simon told us to sit tight for an hour while he delivered $200 in cash to our driver, Joseph. Joseph was then able to get the money through Customs — actually, the police officers just let him walk right in and hand it to us. Pentagon-esque security. 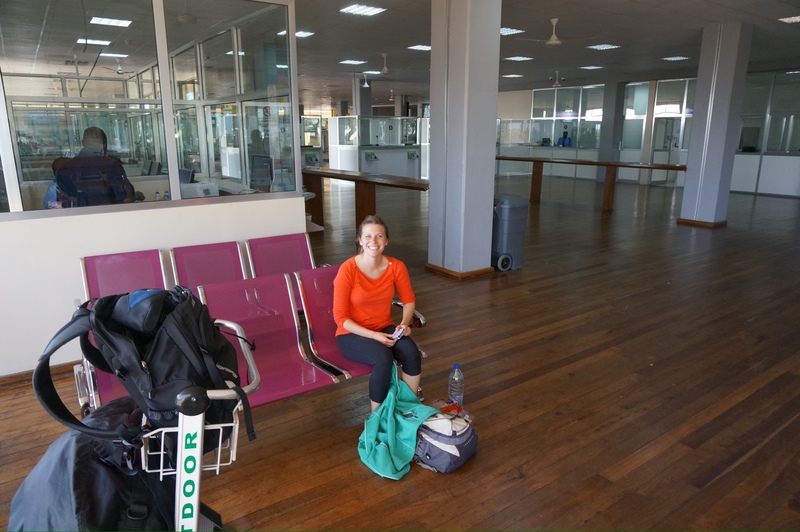 So two hours after playing gin alone in the deserted Customs area, we made it out of limbo and into Tanzania. A huge thank you to Joseph and Simon for their successful rescue mission. 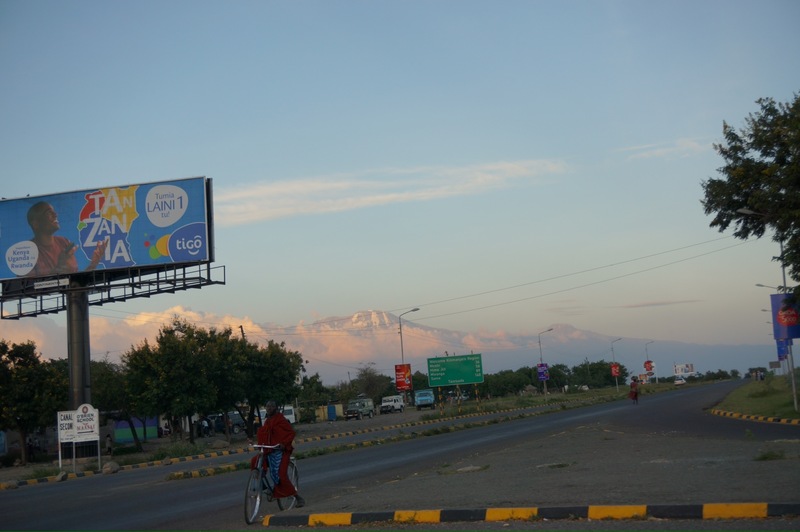 This entry was posted in Tanzania on February 26, 2013 by Jill. Wow to you both! I just read the climbing expedition blog but couldn’t comment there so I am commenting here instead. And I thought I was tired waking up at 845 am to meet with a professor before class, well your email and experience about climbing up kiliminjaro really put me to shame! Way to go – can’t believe you guys did it! Go sapes!!! Also great sunrise picture, cool to see really how big this earth is via you both!